“Taranta” is Mina Tindle’s debut album, due for release on 28th May. Her name has been whispering through the pop-folk scene like a breath of fresh air for some years now, and a cosmopolitan name it is too (borrowed from Milo Tindle, a character in Joseph Mankiewicz’s 1972 film Sleuth) for a French singer (with Spanish roots) who has electrified anyone lucky enough to see her live or hear her self-produced songs. The album was produced by JP Nataf (former lead singer with The Innocents), one of Mina Tindle’s musical idols and one of the great craftsmen of French pop. 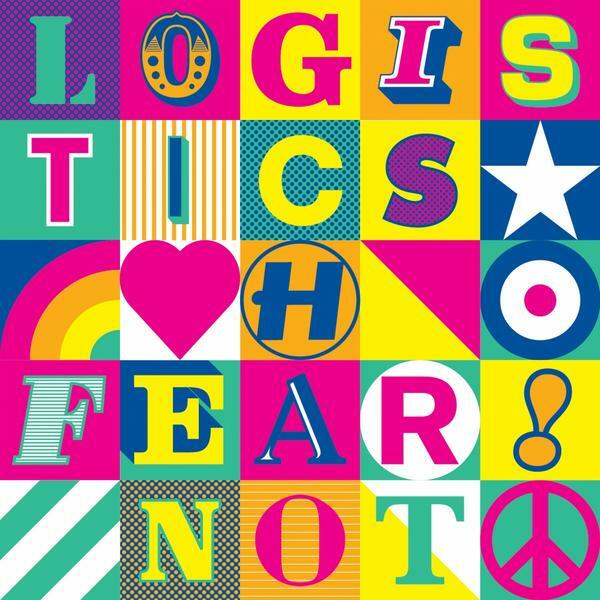 “Fear Not” is Drum and Bass artist Logistic’s fourth artist album, out today through Hospital Records. It goes without saying – Nina Simone is one of the most vital musicians of the twentieth century. If there was a diva in black music from 1960 to 1990, it was Nina Simone and nobody else. Revered by fans and musicians who recognize her intimidating talent , it was primarily an unusual character, a political activist, an intellectual and angry woman. “Nina Simone: My Baby Just Cares for Me and Greatest Hits” features 14 of her best songs for an unbeatable price, including “Love Me or Leave Me”, “Mood Indigo” and “Can’t Get Out of This Mood”. It’s a big day in the world of Big Life as Attaque puts out not only his debut artist album today, but it’s a first for the label too – and what a belter it is! “When Light Falls” is the new album from the king of ‘future techno’. Nine months ago Attaque released his explosive debut single “Light Falls”, which barged its way onto the playlists and essential mixes of BBC Radio 1, as well as having the world’s preeminent DJs standing back in awe. It devastated dancefloors across the globe and Mixmag made it their Tune of the Month declaring: “prepare to be pummelled”. “When Light Falls” is an hour of forward thinking electro and techno perfection. An album as potent on the train as it is in a nightclub, it takes you on the remarkable journey that this special producer has had so far. Attaque has already received massive support from the likes of Erol Alkan, Tiga, Brodinski, Fake Blood (BBC1 Essential mix play), Mumbai Science, Zombie Nation and Alex Metric, among others. Equal parts Tom Ze and Thom Yorke, Lucas Santtana is one of Brazil’s most interesting, dynamic and experimental singer-songwriter-producers from the ‘new generation’ of South American electro-acoustic musicians. Using samplers, pedals, filters and other conventional and non-conventional recording techniques, Santtana has created a haunting, disorientating and captivating work with the same flair and innovation that artists like Gilberto Gil originally drew on yet which is also independent and distinctive. This new release features four great remixes of his tracks by Burnt Friedman, João Brasil, DJ iZem and Alexandre Coutinho. Mr Day’s new album, “Dry Up In The Sun” is out today through Favorite Recordings. Following its acclaimed 1st LP, Mr Day keeps affirming itself with a more ambitious new album which clearly set them at the intersection of Rock and Soul from the 60s to now. The band decided to use 100% analogue production and recording techniques that contributed to produce a rich and organic sound. Thus, “Dry Up In The Sun” appears resolutely timeless, that is to say in his vintage, yet modern approach. The beats perfectly coexist alongside the guitars, as in the great era of Primal Scream, and the alchemy seems natural on each of the 10 tracks that make up this inspired sophomore work. Lo Cor De La Plana – Marcha ! The male vocal band from Marseille is back with a riotous album entitled “Marcha”. Literary and musical protest takes on an especially subversive and rebellious dimension – notably in the repertoire of Marseilles – and sharp humour is combined with violent, morbid or larger-than-life lexical contrasts. Lo Cor de la Plana shatters the hackneyed patterns and boring forms usually found in traditional singing. The vocals and percussion (bendir and tambourine, foot-stomping and hand-clapping) return these songs to the feverish environment that befits them and that has become one of the band’s trademarks.